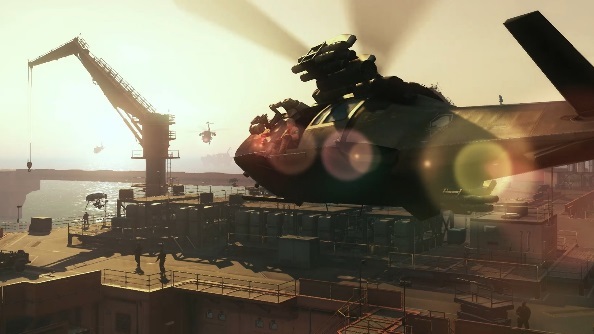 Metal Gear Online launches today on the console versions of MGS V, and with it comes a rather crazy new microtransaction option: FOB Insurance. For a deduction from your real-world savings account, you can rest in peace with the knowledge that things stolen from your base in PvP mode will be replaced by a fictional insurance company. Metal Gear Online doesn’t reach us on PC until next year, but right now we’re seeing what could be with us in a few months time. The system works as thus: real money is spent on FOB Insurance, which lasts a specified amount of time. During the period of your insurance policy, if an enemy player attacks your base in the FOB PvP mode, whatever staff and materials they steal will not go missing from your base. They will still reap the rewards as if they had stolen them, but you won’t notice anything missing. Like all insurance policies, there are exceptions. FOB Insurance does not cover staff held in the brig, wounded staff, staff deployed to defensive FOB positions, and nuclear weapons. Quite frankly, if I’d got a sodding nuclear bomb on my base, I’d want the damn thing insured. Sounds like Diamond Dogs are using the wrong policy. Compare the Market, Snake. Don’t tell me you’ve never heard of it. There’s also a three day free trail, just in case you needed the concept of insurance demonstrated to you. Here in the UK, £8 nets you 1,150 MB coins, making the fourteen day duration around £2. Are your staff that precious to you?